In this article we’ll show you everything you need to know about Coomotor, one of the biggest companies that work in the center of the country. Is it one of the best companies in Colombia? Find out here. Something that every traveler should do in Colombia is to take the time to travel on the road and jump from one town to another. There’s nothing like the pleasure of exploring the small towns and seeing how the landscapes change between the mountains and the Colombian forests. Each town has something different and there are always new roads to explore. The most important thing before making this kind of trip is to search and look for the best bus company. There are dozens to choose from. To make this task easier for you, we’ll present you all the details of the most important bus companies in the country. 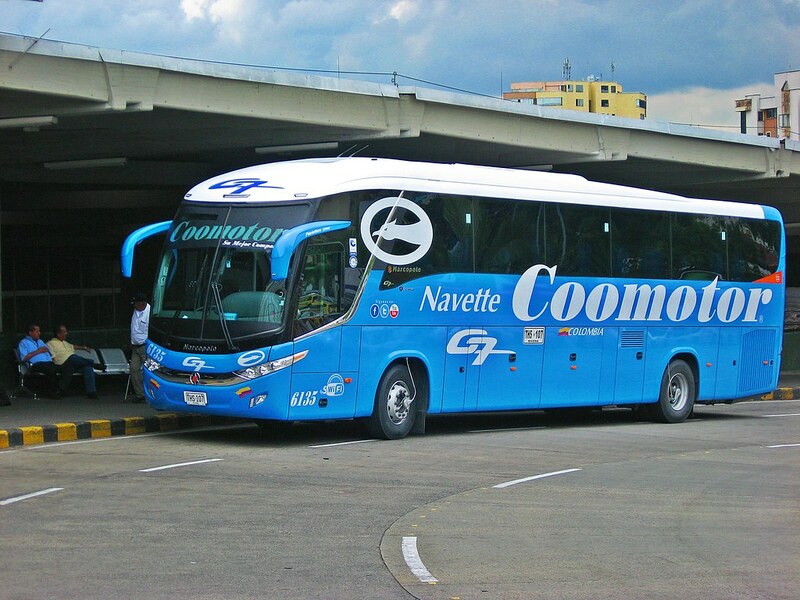 Although many of the Colombian bus companies were founded in Santander or in some cities of the Caribbean coast, Coomotor was born almost in the opposite place of the country: in the city of Neiva, Huila (southeast of Bogota). In the 1960s, as it happened to many transport companies in Colombia, the work conditions in Huila were not ideal. For this reason, on March 24, 1961, 11 members who belonged to the Drivers National Union decided to found the “Cooperativa de Motoristas del Huila y Caqueta Limitada”, which would be popularly known as “Coomotor”. Since its inauguration, the owners of Coomotor have focused on expanding routes and transportation options throughout the center, east and southeast of the country. In the 60s, the company opened its routes to the department of Caqueta; in the 70s, it opened the route to Bogota; and in the 80s, to the Valle del Cauca. After establishing these routes, the company dedicated itself to improve its service, renewing its fleet and modernizing the buses. As we told you, Coomotor is a company that was established in the southeastern area of Colombia, specifically, in the city of Neiva. For this reason, most of the routes of the company depart or arrive in Neiva and reach cities that are close or have a great tourist attraction, such as Bogota, Medellin, Armenia, Ibague, Florencia, Popayan, among others. For each of these destinations, Coomotor manages two types of fleets: long and medium distance. Long-distance trips have the option of using luxury buses and double-decker buses with television, music, air conditioning, blankets and cushions. Only some have WiFi service. For medium-distance trips, the service is in small buses and vans. Like all bus companies in Colombia, the ticket prices are quite competitive and you’ll see that are quite inexpensive. However, since the destinations of Coomotor are not very far from each other (their longest journey is a little less than 12 hours), this company handles prices a little bit lower than most companies. On average, Coomotor trips cost between 15 and 25 dollars, and they won’t exceed 35 dollars.